A little sanity has finally returned to our nation's capital. This week, many in Congress began to see the big picture about what possible fatal damage they were doing to the aviation industry in this country by ordering companies begging for bailout cash from TARP to sell off their general aviation fleets as a condition of the legislation. With the traditional media shouting this story daily, the public's perception of GA has been seriously tarnished. Last night at my weekly Toastmaster's meeting (a great way to learn to be a better public speaker BTW) I casually brought up the bailout/business jet issue as a way to determine public sentiment. I was blown away that 100 percent of people I spoke with thinks any CEO getting bailout coin should not arrive to beg for that money in a private plane. "Greedy bastards, let 'em fly coach like us," one person said. The media has so polluted the public gene pool on this, I could not convince these people that not all executives that fly private jets and turboprops are looking for taxpayer bailout money. I got nowhere. The more I talked, the more they dug their heels in. Private jets = corrupt, overpaid Executives. "House legislation placing restrictions on financial institutions that get assistance through the $700 billion Troubled Asset Relief Program had included a provision that recipients of the money would be prohibited from owning or leasing private aircraft. But Kansas is one of the nation's centers of aircraft manufacturing, and Kansas lawmakers complained that the provision could reduce aircraft orders, cost jobs, and damage the industry's image. On Tuesday, House Financial Services Committee Chairman Barney Frank, D-Mass, the author of the bill, lifted the jet ban from the bill. 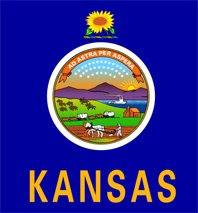 In a letter to Frank on Monday, Rep. Dennis Moore, a Kansas Democrat who sits on the Financial Services Committee, argued that the industry employs more than 44,000 workers in Kansas and that suppliers employ many more. "General aviation contributes more than $150 billion to the U.S. economy annually and employs more than 1,265,000 people," Moore wrote. Also on Monday, Rep. Todd Tiahrt, a Republican whose Kansas district has the biggest manufacturing presence, advised that he would seek an amendment to have the provision removed." See...BIG PICTURE! Punishing a few CEOs sure feels good when they are on their knees trying to keep their teetering companies off the bankrupcy court floor. I – like some of you – personally have zero pity on the "Big Three" since they choose to build gas guzzling behemoths and sell them to anyone whether they could afford them or not. Who among us doesn't feel enormous anger at a financial sector that is near death's door because they did the same thing as the automakers, only by selling HOUSES to those who could not afford them? And now that half of the TARP money has vanished through the smoke and the mirrors, I'm sure it smells like revenge to Average Joe [the Plumber] to take away 'their' jets. But as Rep. Moore of Kansas said, GA generates $150 BILLION in sales each year, it is a huge part of our economy. I'll bet the guys down at the corner bar in Independence, KS don't feel the same way since so many of their fishing buddies work on the line at Cessna. How about the woman with three kids working the front desk at the local airport FBO? Why punish her because some shady dealings went down in Bush's Washington while the SEC conveniently looked the other way? I think this will blow over as soon as tomorrow's "fad" news story breaks. By the next news cycle, America's taxpayers will have forgotten about CEOs and jets, and will be talking about what color of Bentley Paris Hilton will buy this week. If the Obama administration can get out there quickly and spark up the economy, people will quickly forget about Bernie Madoff, the Big Three and pathetic financial tycoons as soon as they start receiving a paycheck again. Because when cornered and asked if losing tens of thousands of GA jobs is worth punishing a few CEOs, I'll bet the guy/gal on the street would come down on our side if they only stopped looking for a job long enough to see the BIG PICTURE here.